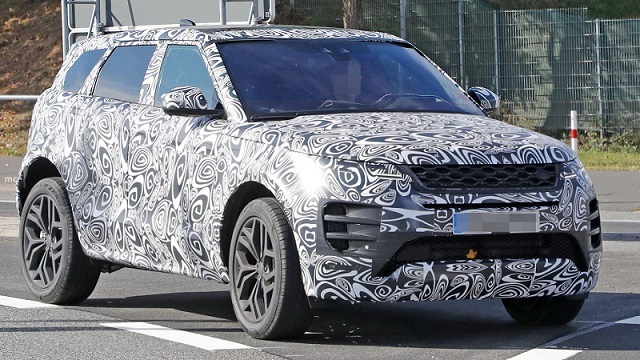 We are pretty sure that you’ve seen several prototypes of the next-generation Range Rover Evoque over the year, yet we know that nobody was this close to the pre-production model. This time, the successor of the popular crossover not only uses quite thin camouflage that doesn’t really hides anything but also reveals its new interior. Well, at least some parts of the new cabin. The 2019 Range Rover Evoque will look quite interesting from the inside. The SUV hosts a fully digital instrument panel. Carmaker’s distinctive HVAC vents sit at the very top of the center stack, while the display goes underneath. Although pretty uncommon, the combination seems interesting. 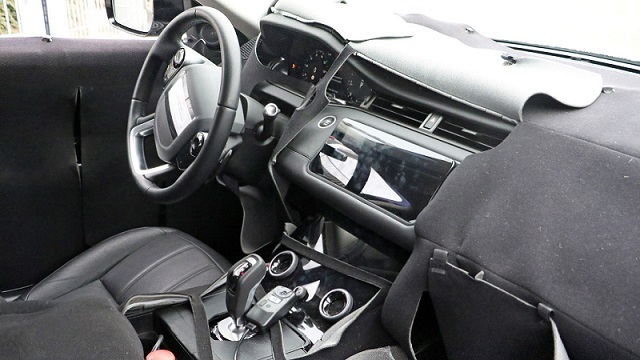 In addition, the SUV will lose its usual twist knob gear shift in favor of new gear shift toggle control. The camouflaged exterior styling doesn’t reveal everything at the moment, but it’s already quite clear that the successor looks more attractive from today’s model. As far as we see, the 2019 Range Rover Evoque is going to feature a completely new front bumper and totally redesigned air intakes that are going to take the corners of the SUV. 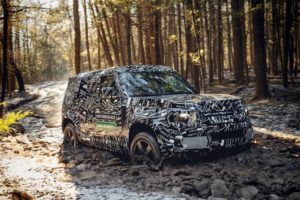 Land Rover will make the crossover more interesting thanks to the all-new double-decker grille and with a pair of more aggressive and skinny headlights without any doubt. Both the grille and lights are definitely taken off the new Velar, but that’s not bad at all, as they fit perfectly the smaller SUV. The next-gen Evoque will carry over certain details like its high shoulders and sloping roofline. 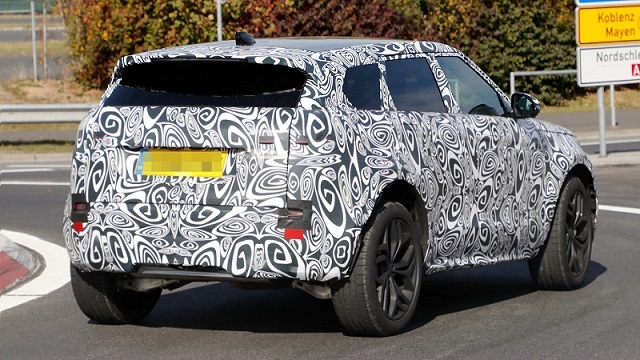 The rear end, will on the other hand, get a totally new treatment for which we think it’s going to be Velar-based, too. The 2019 Evoque will ride on a revised version of the D8 platform. The architecture will provide additional space inside and improved ride quality. 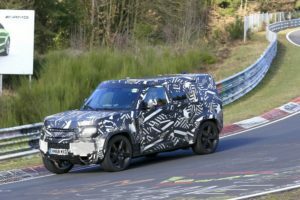 The reworked chassis will reportedly cut some weight from the SUV, while we also expect to see a plug-in hybrid powertrain under the hood. The system will use a 1.5-liter three-cylinder engine and an electric motor. The U.S.-specs 2019 Range Rover Evoque will also use a new 2.0-liter Ingenium engine that’s going to produce almost 300 horsepower.